The Islamic Center of Victoria was destroyed by a massive fire Saturday, less than three weeks after the partly constructed Islamic Center of Lake Travis suffered the same fate. The two fires come amid a time of increased unease within Muslim communities across the country. Shakeel Rashed, executive board member of the Islamic Center of Lake Travis, said the January 7 blaze that destroyed the progress made in building the facility immediately worried Muslims in the area. The Victoria fire occurred hours after President Donald Trump signed an executive order that in part restricted migration from seven Muslim-majority countries, sparking chaos and distress at airports across the country. That timing drew national attention to the incident. In two days, the Victoria center, which serves about 40 families, has raised nearly $900,000 toward rebuilding, according to a crowdfunding page. Both the Victoria and Lake Travis fires are currently under investigation and neither cause has been made public. On Monday, the Austin American-Statesman reported that federal officials have determined the cause of the fire that destroyed the Lake Travis facility, but authorities were delaying the release of information because of the investigation into the fire in Victoria. This was news to Shakeel Rashed, executive board member of the Islamic Center of Lake Travis, who said Monday afternoon that they had expected to hear from the fire marshal within the next week or two. While he doesn't yet know the cause of the Lake Travis Center fire remains unknown, Rashed is certain that the mosque will be rebuilt. The center has raised more than $50,000 of it's $400,000 goal toward rebuilding. “There are a lot more people who are in support of us building this back again than people who oppose us but it takes one crazy guy to do something,” Rashed said. That’s why he is intent on the center improving security as it rebuilds. 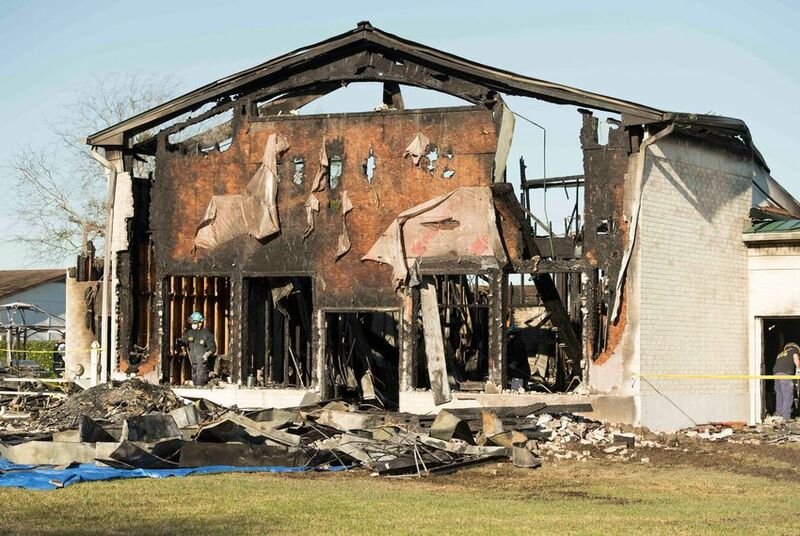 Rehman Siddiqi, president of the Islamic Center of Lake Travis, said he wondered if there was any connection between the two Texas mosque fires but couldn’t say for sure.